The flag carrier airline of India, Air India is the third largest airline in India in terms of number of passengers carried. Air India was founded in 1932 by J.R.D. Tata and the airline started its operations on 15th October, 1932. It was named Tata Airlines and when the company became a public limited company in 1946 it was named Air India. Air India is owned by Air India Limited, a Government of India enterprise and has its headquarters at New Delhi and has its primary hubs at Indira Gandhi International Airport, New Delhi and Chhatrapati Shivaji International Airport, Mumbai and its secondary hubs at Netaji Subhash Chandra Bose International Airport, Kolkata and Chennai International Airport, Chennai. Air India became a member of the prestigious Star Alliance in 2014. Air India offers comfortable flights, in-flight service and hassle-free operations! Air India owns a fleet of 114 aircrafts which consist of both Boeing and Airbus. 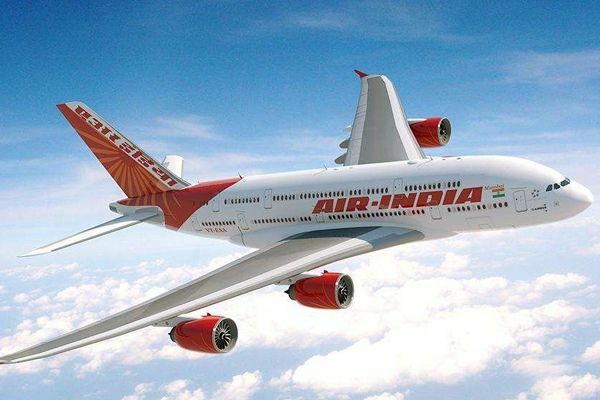 Air India owns 41 wide body aircrafts to cater to long haul international flights. The wide body fleet consists of Boeing 777-200LR, 777-300ER, 747-400, 787-8. Air India owns 66 narrow body aircrafts for medium haul and regional flights. The narrow body fleet comprises of Airbus A319, A320 (Twin Class), A320 (Classic) and A321. These aircrafts includes the ones that Air India leases from other companies. Air India currently flies to 92 destinations in 27 countries across 4 continents. Kabul, Melbourne, Sydney, Vienna, Manama, Dhaka, Shanghai, Copenhagen, Paris, Frankfurt, Hong Kong, Tel Aviv, Milan, Rome, Osaka, Tokyo, Kuwait City, Male, Yangon, Kathmandu, Muscat, Damman, Jeddah, Riyadh, Singapore, Seoul, Madrid, Colombo, Stockholm, Bangkok, Abu Dhabi, Dubai, Sharjah, Birmingham, London, Chicago, New York City, Newark, San Francisco, Washington. Air India’s First Class exemplifies luxury. The First Class has only 12 seats, the 1-1 configuration ensures you always have an aisle seat and a window seat both at the same time. Seats n the First Class are fully reclining and get converted to lie-flat beds. Air India’s First Class promises to tantalize your taste buds as passengers can choose from a wide array of entrees and liqueurs. The Executive Class is a haven for Business and Leisure Travelers. Air India’s Executive Class has spacious cabins and comfortable seats, aisle or window seats for every passenger on the 747 aircrafts and exclusive and priority check in facility. Economy Class on board the Air India aircrafts has comfortable seats for the budget traveler. Passengers travelling Economy can choose from Indian or Continental meals on board and each passenger can choose from special diets at the time of booking of the air tickets. Air India being a full cost carrier allows free check in baggage. Passengers flying on Domestic routes will be allowed to check in 25 kg of baggage. On International routes passengers travelling Economy are allowed to check in 20 kg, Executive Class passengers are allowed to check in 30 kg and First Class passengers are allowed to check in 40 kg of baggage. The cabin baggage however is same for all the classes and is restricted at 8 kg per passenger. The Air India web check in facility is available within 48 hours of departure of the flight and closes 2 hours prior departure. Air India’s frequent flyer program is named Flying Returns. India’s first frequent flyer program is also one of the most rewarding programs in the region. As a member you can earn points each time you travel with Air India and redeem these points with Air India and 27 other Star Alliance partners. Flying Returns is a three- tier program. The Three tiers are named Silver Edge Club, Golden Edge Club and The Maharaja Club. Don’t delay your travel plans anymore. Just get your cheap flights tickets now at FareHawker and be onboard with Air India to explore India and beyond! Avail special incentives for corporate booking with FareHawker for Air India. Air India offers to its corporate clients special incentives on achievement of agreed annual travel volume on the airline. Book tickets for 10 travellers or more with India’s national carrier Air India by FareHawker flight Group Booking desk. We offer Air India Airlines group fare facility for all travel portal, travel agencies, corporate & tour operator. Our ex-airliner team members are expert in handling small or large segment of Group Bookings. FareHawker provides group fare for major airlines in India. If you are planning to travel in a group and require a group fare kindly post your query so that we can provide you with cheapest group fare options. Air India Airlines Flight Lowest Group Fare - Buy Group flight tickets with FareHawker for booking domestic airlines group tickets on discounted fare. We are the largest consolidator for Group Air tickets in India. Post Your Group booking Query for Airlines. How to book Group Tickets in Air India Flight ? Any traveller, corporate, travel agency or individual can directly mail to FareHawker GroupDesk team by asking for Air India Airlines flight group fare. Our group booking expert will get back to you on the same trail within 4 hours. Air ticket booking available at lowest airfare for Air India Airlines at affordable prices at FareHawker. Air India airlines booking offer 2017 - Book Air India Airline ticket online at lowest air fare at FareHawker. Get best offer for Air India Airlines, the national carrier flying throughout India and abroad. Book Air India Airline tickets with FareHawker as we offer the best-in-class fare options for all types of airline bookings. Our dedicated ex-airliner team with their in-depth industry knowledge offers you the cheapest possible fares for domestic as well as international travel. We take pride in our relationship with the airline partners and it is this relationship that allows us to offer you great travel solutions. We are here not only to find the best flights at cheap airfares but also to offer you consolidated travel services so you enjoy a seamless travel experience. Visit Air India FAQ for all related queries. Terms and condition of FareHawker and Air India apply. Avail airline Group Booking for cheap group airfare from FareHawker.com for all major airlines in India as we are the largest consolidator for Group Booking in India. FareHawker offers discounted group airfare for all leading airlines in India.